I just found out today that my work was selected for inclusion in the 2013 Art Melt to be held at the Capitol State Museum (formerly Louisiana State Museum) in Baton Rouge, Louisiana. The jurors for this year’s event are Jordana Pomeroy, Executive Director, LSU Museum of Art; Susan H. Edwards, Executive Director, Frist Center for the Visual Arts; and Jo-Anne Birnie Danzker, Executive Director, Frye Art Museum. The event opens to the public starting July 20th but there will be a Preview Party the night of July 19th from 7-11pm. The exhibit will run through August 24th. 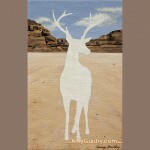 I’ve recently begun a new painting in my In Our Veins series. 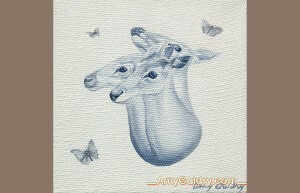 It is a 6″ x 6″ acrylic on canvas. I started off with a very basic sketch on the canvas, basically outlining everything. Then I started roughing in a beginning layer of paint and as it progresses, I will be adding more layers of paint, building up the colors, and refining the details as I go. 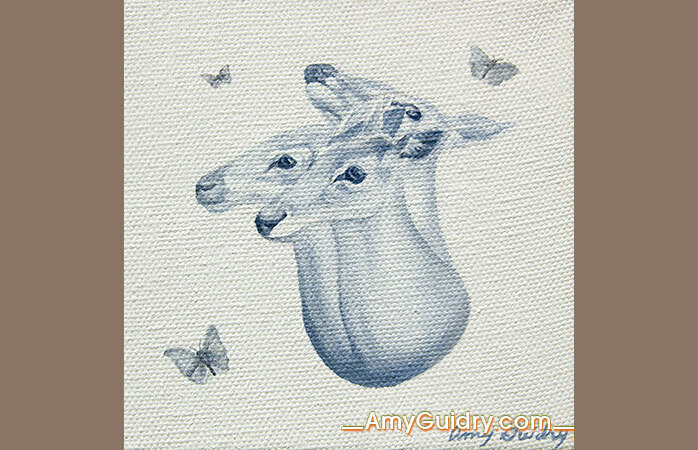 The finished painting will be posted here but in the meantime, view the remaining series online here: www.amyguidry.com/wild_west.html. Another painting from the In Our Veins series has found a new home. 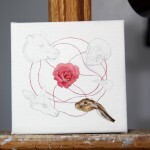 Cycle is an acrylic on canvas, 4″ x 4,” and was just recently featured here. The title pertains to the cycle of life and how our actions of the both the past and present affect our future environment. The butterflies represent life in that both are beautiful, fragile, and only last a short time. 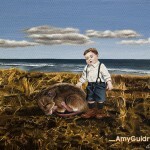 View the painting online as well as the entire series here: www.amyguidry.com/cycle.html. Three of my recent paintings from the In Our Veins series have found a new home- Safety in Numbers, acrylic on canvas, 20″ wide by 10″ high; Hierarchy, acrylic on canvas, 8″ wide by 6″ high; and Imprint, also acrylic on canvas, 4″ wide by 6″ high. The latter two were just recently featured in my latest newsletter. 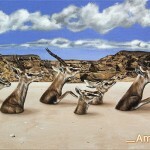 All three paintings are part of my In Our Veins series which focuses on the life cycle and our role in it, including our relationship with the natural world. View the series online at this direct link: www.AmyGuidry.com/wild_west.html. 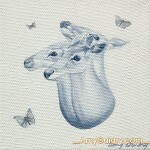 I recently finished three new paintings in my In Our Veins series. 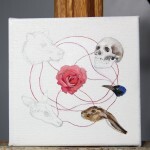 You may recall the progress shot I posted of Hierarchy, an acrylic on canvas, 8″ wide by 6″ high. In addition, I’ve added two smaller works, Imprint, 4″ wide by 6″high, acrylic on canvas; and Cycle, 4″ x 4,” also an acrylic on canvas. View larger images of each of these paintings online here: www.amyguidry.com/hierarchy.html; here: www.amyguidry.com/imprint.html; and here: www.amyguidry.com/cycle.html. Progress shot of a painting I’m currently working on. 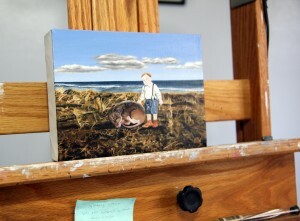 I finished up the grass and am now working on the mouse. It is an acrylic on canvas, 8″ wide by 6″ high. The finished piece will be posted here soon. View the series online here: www.AmyGuidry.com/wild_west.html. I’ve just received my new postcards featuring my recent painting Safety in Numbers. 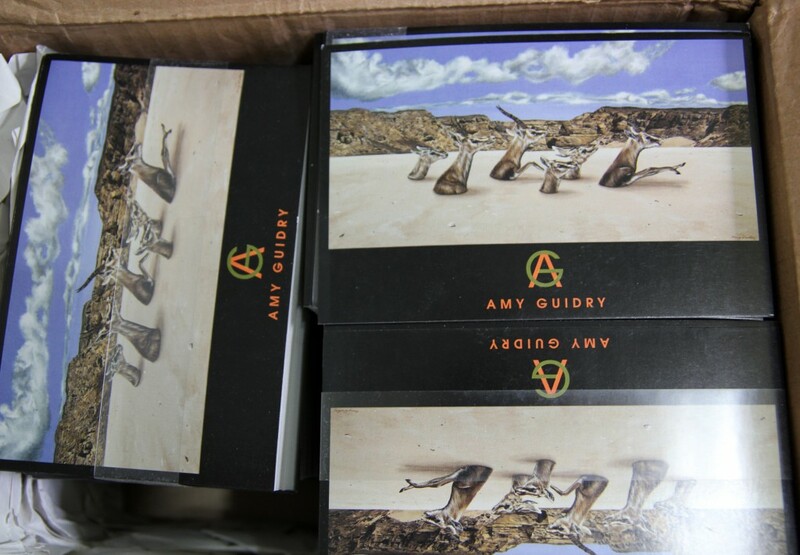 If you would like to be added to the mailing list to receive this and new postcards, just click the postcard icon here: www.amyguidry.com/contact.html.